Listing courtesy of SUNCHASE REALTY LLC. Under Construction. Completion August 2019. This is not your everyday upscale condominium. For starters, there are just three units per building, and each “penthouse-style” residence commands an entire floor ensuring the ultimate luxury – privacy. Strategically positioned to maximize spectacular panoramic waterfront views, each 4-bedroom, 4.5 bath residence has over 3,800 sq.ft. of living space, nearly 1,000 sq.ft. of wrap-around terrace on two sides, and walls-of-glass overlooking breathtaking views of Boca Ciega Bay, the marina below and the Sunshine Skyway on the horizon. The innovative and brilliantly designed plan features a unique Master Suite with DUAL MASTER BATHS joined by an oversized shower, an ultra-deep walk-in Pantry, and a private, secure entry Foyer. Unparalleled life-enhancing features include a 150kw natural gas convenience GENERATOR to support the entire building, two high efficiency dual-zone AC systems, and state-of-the-art smart home/media infrastructure. The list is endless … impressively appointed 10’ ceilings integrated with LED recessed up-lighting, Euro-style custom cabinets, Cambria countertops, the Wolf-SubZero-ASKO trifecta with NATURAL GAS COOKING, tankless water heaters, large-format Turkish porcelain tile flooring, Great Room fireplace, no shared walls and located in the gated community of Marina Bay, just 7 minutes to downtown St. Pete. Boat slips available from 30-62’. A secure, oversized, two-car+ PRIVATE GARAGE is included, as are St. Petersburg’s legendary sunsets. Simply magnificent. Restrictions: Developer may waive the restrictions on the number and size of household pets for the first purchaser from Developer provided such waiver shall not apply to any replacement animals without the prior approval of the Board of Directors. Please, send me more information on this property: MLS# U8037560 – $2,500,000 – 44 Bayview Ct S #a, St Petersburg, FL 33711. 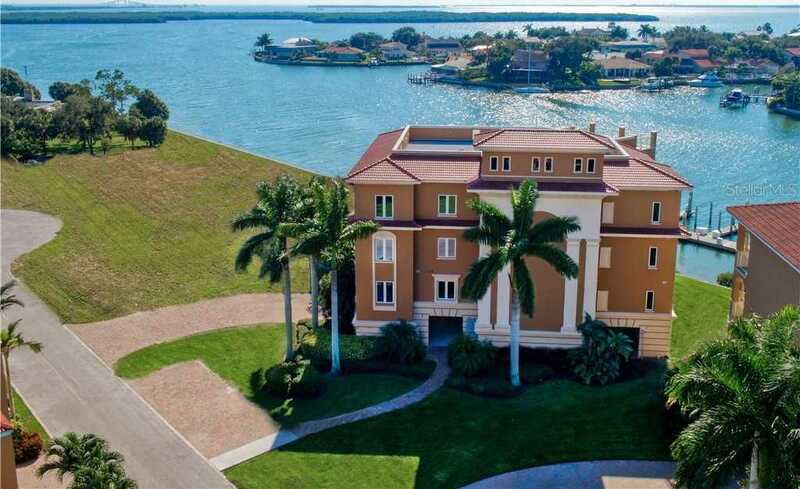 I would like to schedule a showing appointment for this property: MLS# U8037560 – $2,500,000 – 44 Bayview Ct S #a, St Petersburg, FL 33711.